Wedding stylists are like the fairy godmothers to your wedding venue. They make your wedding decoration look devastatingly gorgeous so that you can get those Instagram-Worthy shots at every angle. We have sourced out the 7 trendiest and and most creative wedding stylists who never cease to amaze us with their work. You are going to want these fairy godmothers during your big day! Merrylove Weddings is a popular wedding stylist, especially after their works have been recognised and featured by so many publishers. They are a versatile team who can come up with many gorgeous sets that will surely suit your preference! If you love flowers but don’t want them to die away and go to waste, this is the perfect wedding stylist for you! Specialising in paper art, Ektory can blow up your favourite flowers into a giant sized paper flowers that look so ethereal and extraordinary. For couples looking for a one-stop platform to settle all your reception needs, Flour will be a good place to start! 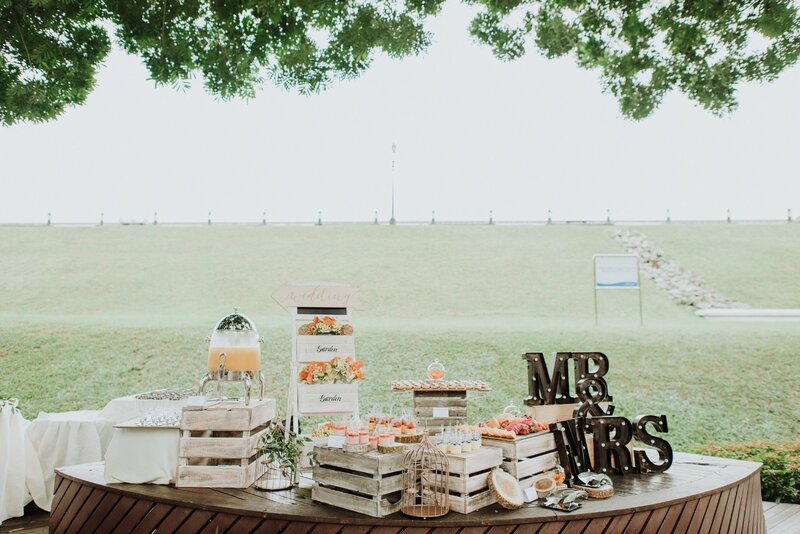 On top of venue styling, they also provide cakes and desserts! The husband and wife team at flour puts their heart into creating the perfect wedding set that is special to you. They will turn any space they are given into a floral wonderland! From wild and rustic to modern and glam, wedding diary has what it takes to transform your wedding venue into whatever you imagine it to be! Let your creativity run wild and watch these little elves meet your standard and beyond. The team at Wulala! is an enthusiastic bunch who are determined to make your celebrations as “you” as possible. No matter how bombastic your idea is, they will be scrambling to find the most appropriate props and customised decorations to make sure they don’t disappoint! Med Kärlek Inc probably needs no introduction. It is a one-mum team at Med Karlek but they usually collaborate with other florists to bring out the magic during your wedding day. If you are a calligraphy lover, this is the stylist to go for because they specialise in beautiful calligraphy and incorporate it into your wedding details! Not exactly a physical stylist, but it gets the job done. The geniuses behind Suitcase Weddings decided to cater to DIY couples by providing affordable rental of wedding set-ups. You can simply choose a package theme and do up your backdrop with all the materials provided! If you want something uniquely you, they also provide ala-carte rental of their props so that you can create your own special concoction. Have you found your ideal wedding stylist? 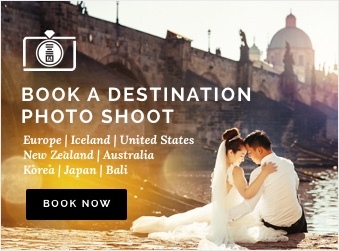 Now you’ll need to hire a professional photographer to capture your big day and all its precious little moments! OneThreeOneFour offers all-inclusive pre-wedding and wedding day photography services, with gowns and makeup all provided! Head to our website for more details on our packages.